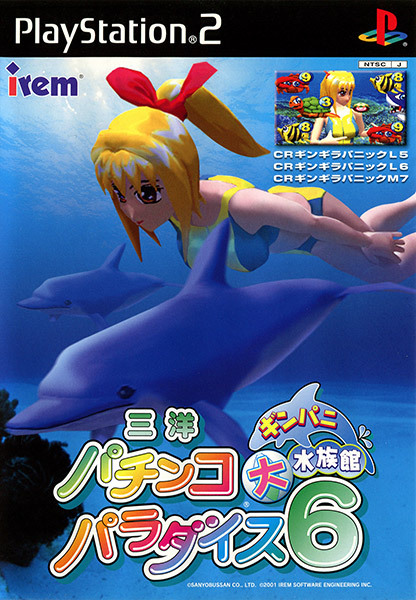 In the late '90s, Irem's output of original titles slowed to a relative trickle. 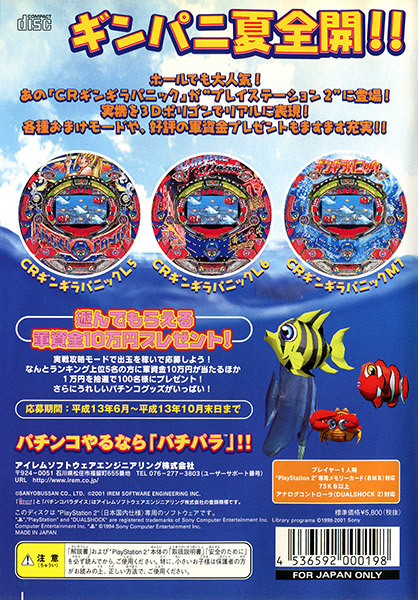 Around the same time, they became one of the more prolific makers of licensed pachinko games. These things are about as sleazy as you can get on consoles. 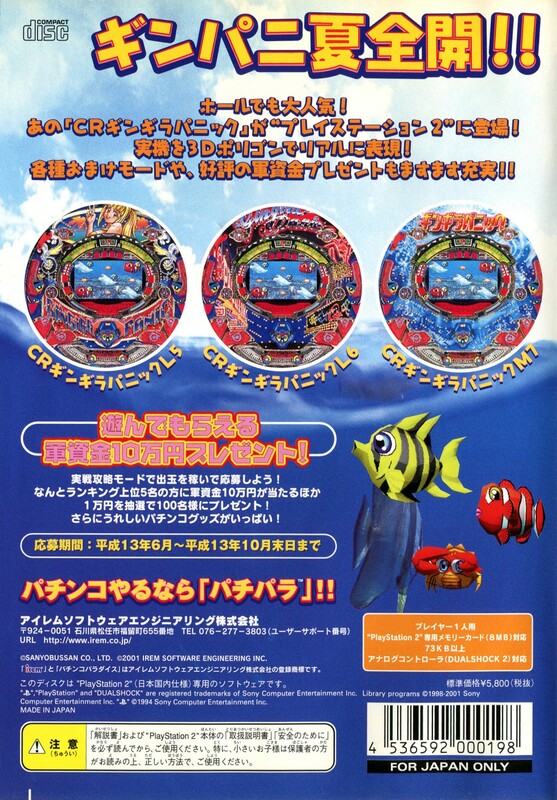 Described as "simulations", they were marketed as a way to practice with the latest pachinko machines before you went and wasted all your money gambling. Of course, the pachinko makers bring out a steady stream of slightly-modified new machines, and you have to buy the new home versions if you want to keep up. Irem has averaged 2-3 releases a year even after abandoning all other games completely, with new PachiPara releases continuing on the PS3, Vita, and 3DS. While some of the later releases actually had some really interesting additions, the later ones were simply a straight copy of the real machine in a very bare-bones package. 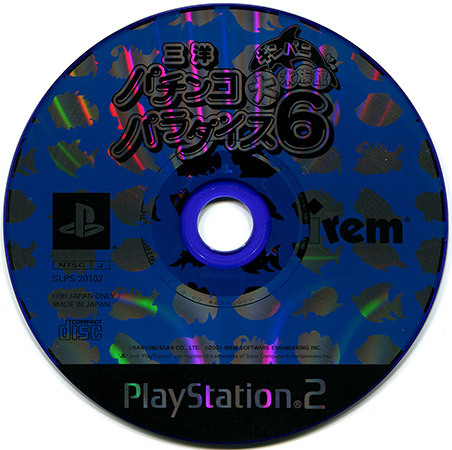 This is the very first PS2 release in the series, and there's pretty much nothing to this package apart from pachinko. Joy.